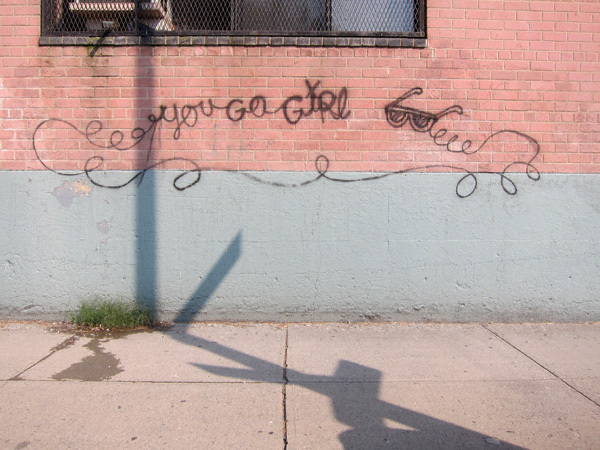 Greenpoint Photo du Jour: You Go Girl! P.S. : As some of you might have noticed this site has had some, um, issues today. Well, it was “hacked” and as a result was sending out “trojans” which were infecting peoples’ computers. Yes, you just read me correctly. I thought Trojans were supposed to help prevent that kind of thing from happening, but there have you. You can look forward to more posts (including footage from last night’s Greenpoint Waterfront discussion group/forum) later this evening.